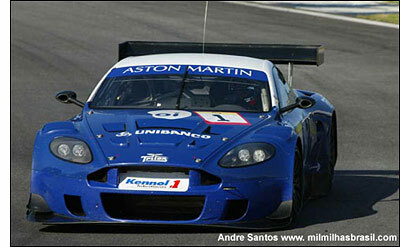 Did you guess the name of Christophe Bouchut’s partner at May’s FIA GT race at Silverstone – in the Cirtek Aston Martin? David Brabham was part of the team that brought home the maiden Aston Martin DBR9 win at Sebring last year, while the Frenchman raced to victory at Bahrain last November, in the blue Aston Martin, and also at the Mil Milhas in January (right). More Christophe Bouchut news in the next news item – but to wrap up this one, Rob Schirle’s 2006 entries will revert back to Cirtek Motorsport, rather than Russian Age Racing, beginning at Istanbul this coming weekend. 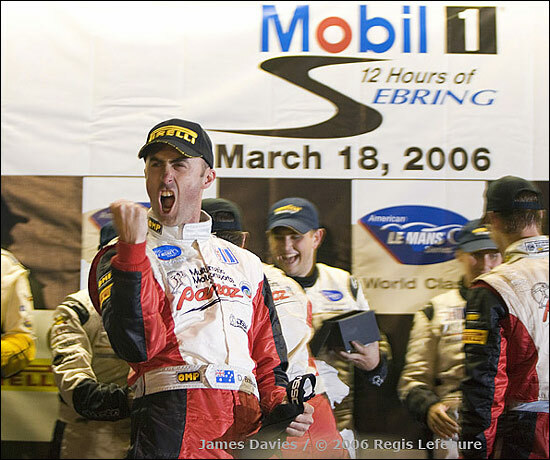 Here’s Brabs, celebrating consecutive wins at Sebring.